In honor of Copernicus’s 545th birthday, I thought I would read T. Koon’s best seller, The Copernican Revolutionary . 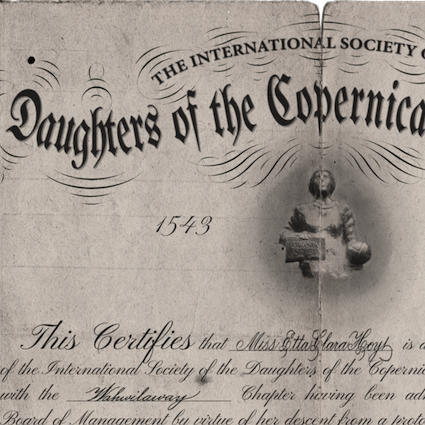 This certifies that Miss Etta Clara Hoyt is a regularly approved member of the International Society of the Daughters of the Copernican Revolution in connection with the Wahwilaway Chapter having been admitted by the International Board of Management by virtue of her descent from a proto-scientist who with unfailing loyalty rendered material aid to the cause of the Heliocentric System during the Revolutionary Struggle between the benighted geocentrists (that uneasy alliance between Ptolemaics and Tychonics) and the visionary heliocentrists (our beloved Copernicans). 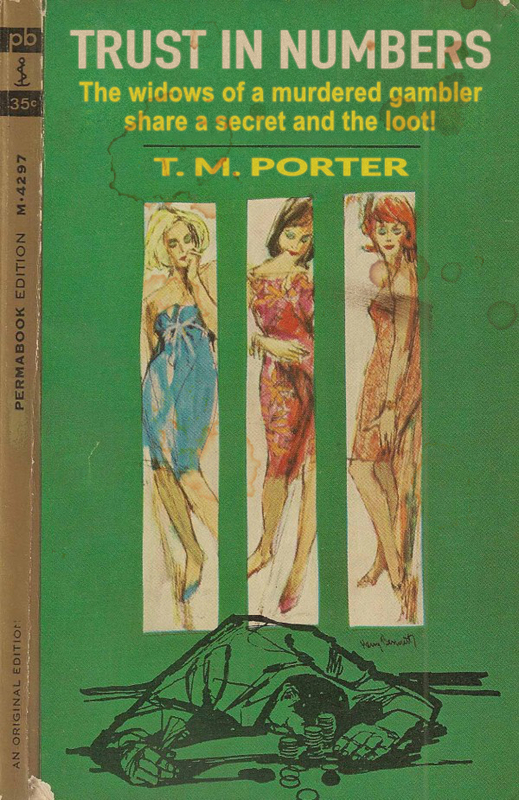 I hadn’t heard of this society before and despite my best efforts (that is, doing a handful of internet searches), I found nothing about it. It seems to have been formed in the late 1800s, perhaps in celebration of the 450th anniversary of Copernicus’s De revolutionibus . 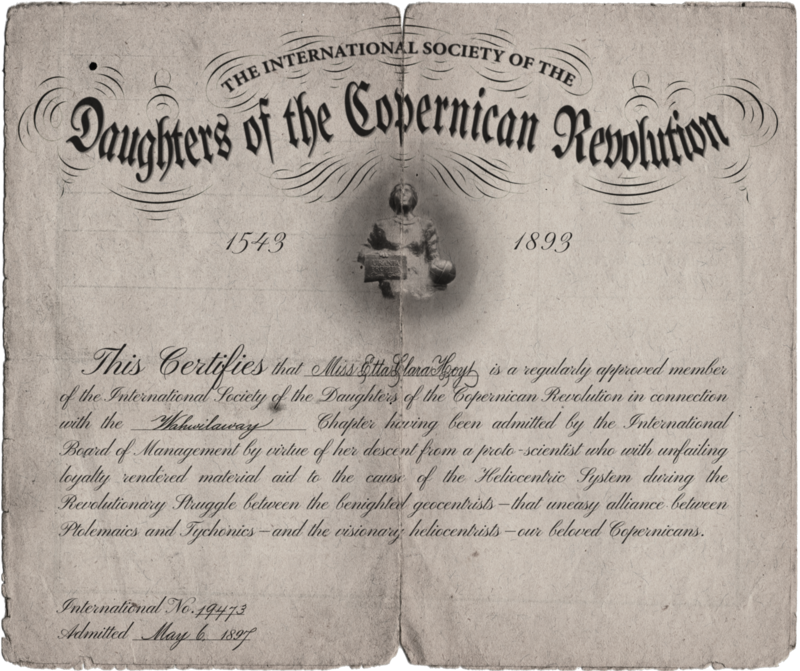 Judging from the text, the society was modeled after the Daughters of the American Revolution, but for reasons I can’t fathom. If you know anything about this organization, let me know. 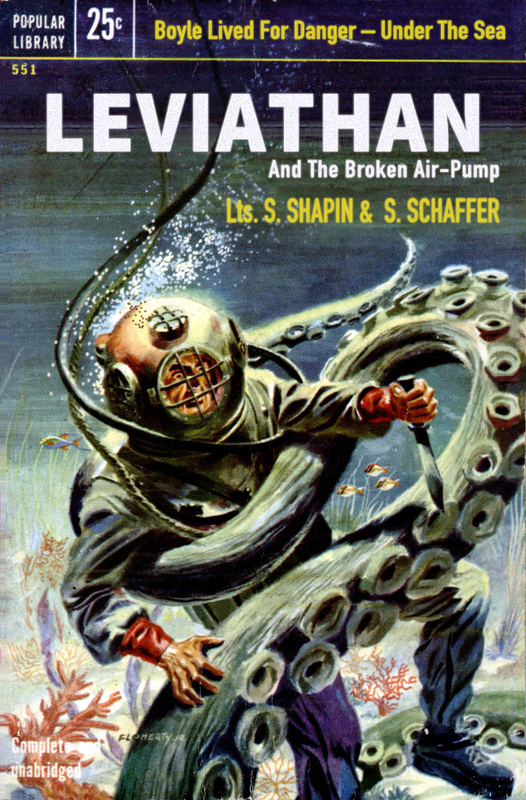 What if Shapin and Schaffer’s classic, Leviathan and the Air-Pump were one in a series about the adventures of Rob Boyle, deep-sea explorer and treasure-hunter? 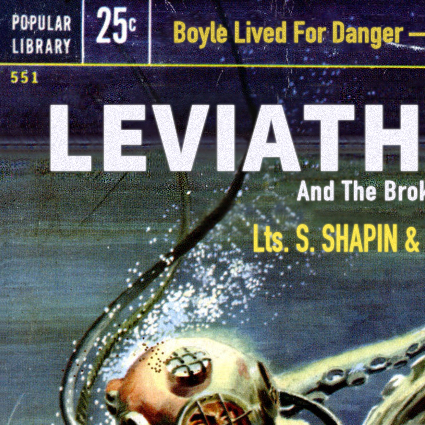 Lieutenants S. Shapin and S. Schaffer draw on their experience in the Navy in their latest Rob Boyle novel, Leviathan and the Broken Air-Pump . 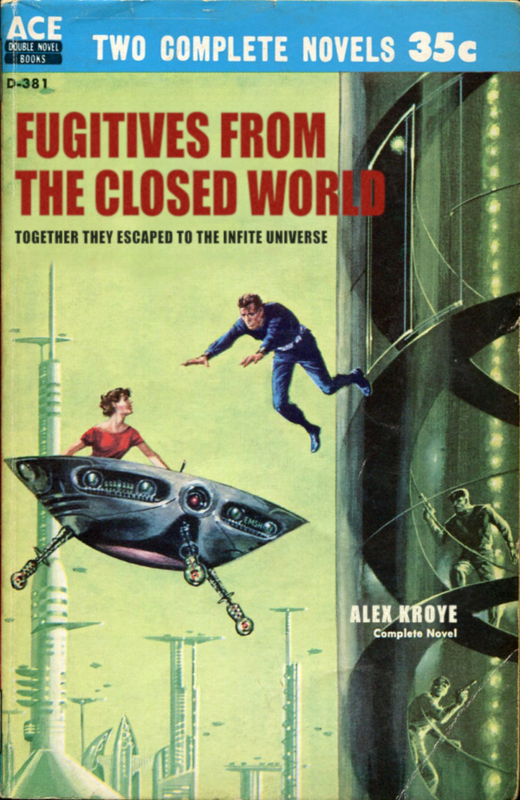 Alexandre Kroyé almost certainly would write science fiction, sort of a Logan’s Run dystopian escape adventure. 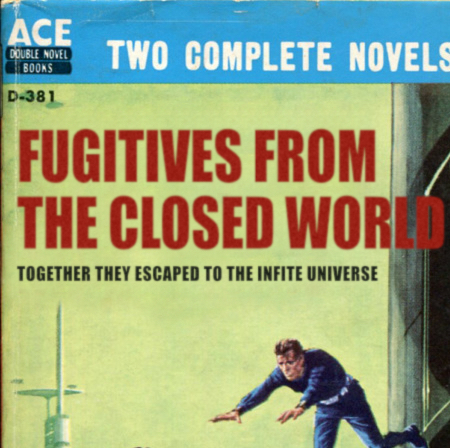 Alex Kroye’s sci-fi novel follows two daring individuals as the try to escape from a dystopian colony. 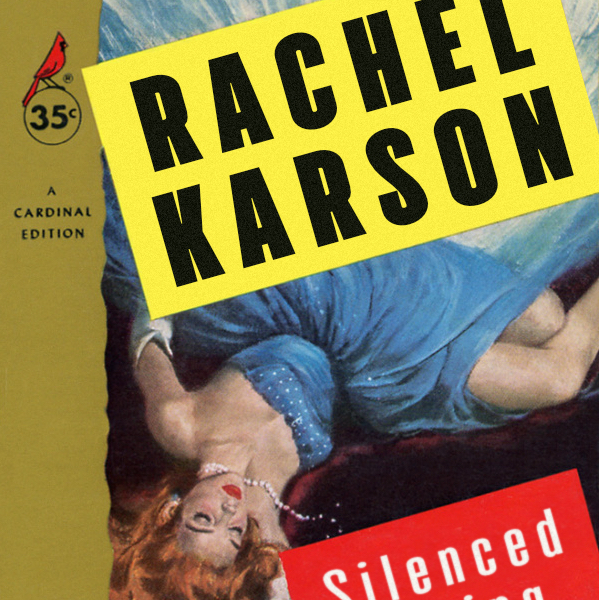 Rachel Carson would have to write a murder mystery, I suspect, about involved a young socialite who knew too much and a sinister Dr. D.D. 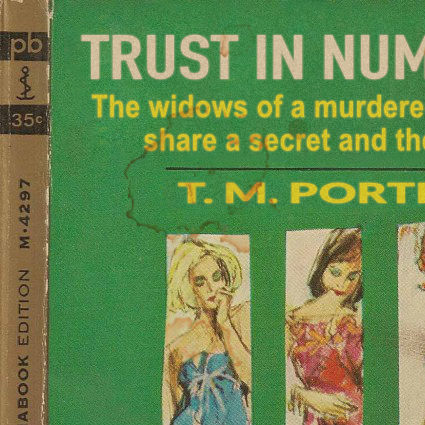 Thornton. 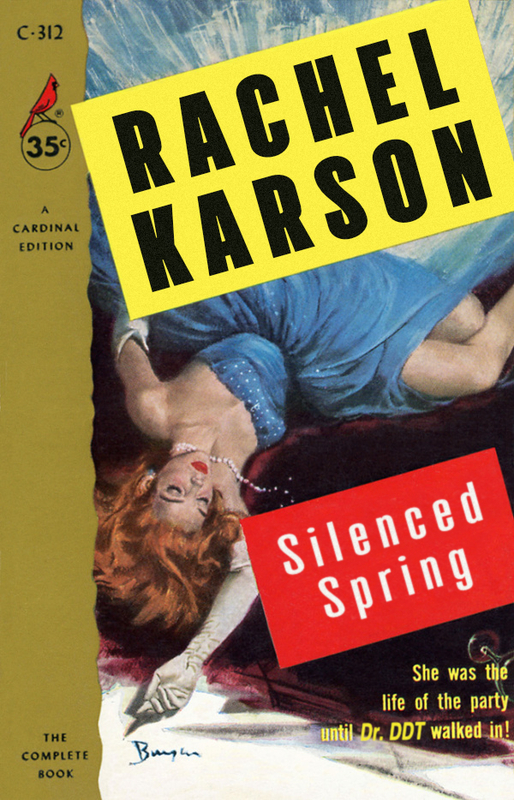 Rachel Karson’s mystery about the unfortunate demise of Spring, a young socialite who knew too much.